Light duty Blue U.V. poly tarps are used for water protection. Our blue tarps are ideal for Roofers, Farmers, Lawn Services, Lumber Yards and many other uses for water proof, dust and grease. 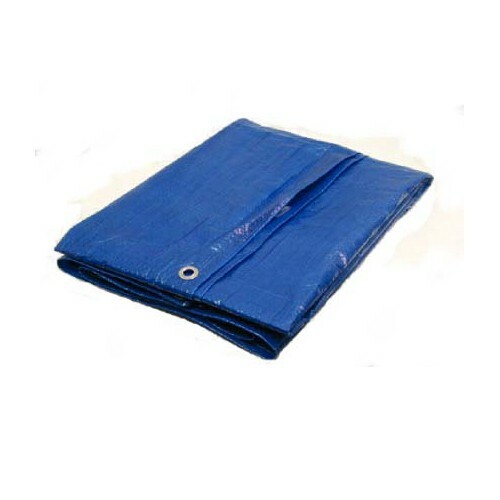 Our Blue poly tarps are weather resistant- 100% UV Protection, Waterproof, and Mildew-proof. Its strong, tear resistant high density polyethylene. Each tarp comes with heavy-duty rust resistant grommets every 36 inches with rope reinforced corners and eyelets. -08 X 10 Mesh Count, 4.5 oz per square yrd.